There are many benefits to filtering your drinking water. From better taste to improved safety, there’s actually little reason not to filter. So, the question really becomes what type of filter should be used? A popular choice are under-sink units, which are unobtrusive and easy to install. We’ll help you find the best under sink water filter in the guide below. Since there are a lot of different models on the market, we spent the time to compile a list of recommendations. We based these decisions on a number of factors, from filtration technology to customer reviews. Below, find our top recommendations for water filters that install under your sink. 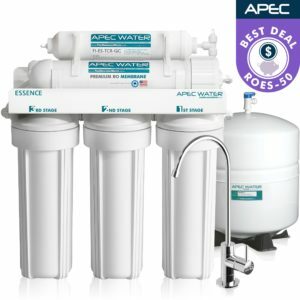 The APEC ROES-50 is the best under sink water filter available today. This is a reverse osmosis filter, which is an advanced filtration tech that efficiently filters out over 1,000 unique contaminants. The technology is able to remove 99% of all contaminants in your water. This product is also a best-seller on Amazon and consistently earns excellent rankings in under sink water filter reviews. It’s well made, durable and leak-free, although it does require some basic plumbing knowledge to install. We ranked it as the best reverse osmosis water filter, as well as the best under-sink unit. The APEC ROES-50 also comes with a 2-year limited warranty, so it’s covered in case of any issues. It’s a complete kit with everything you need to get started. Click here to learn more. For those on a budget, the Filtrete Advanced may be a good option. This simple filter is affordable and designed for water that is already safe, and simply needs a bit of filtering to improve taste. The Filtrete is easy to install, and typically takes less than 30 minutes. It’s also versatile enough to be used on most sinks, including smaller bathroom setups. It’s also an efficient filter, so it won’t significantly reduce your water pressure or flow. To be clear, this isn’t as strong of a filter as some of the more expensive options – but if budget is what you’re after, this is the best under-sink water filter. Click here to learn more. The Home Master TMAFC is a close contender for the best under sink water filter. The only reason it’s not our #1 pick is that it’s a bit pricey – but for a lot of folks, the higher pricetag is worth it. This is an advanced product with a 7-stage filtration system. 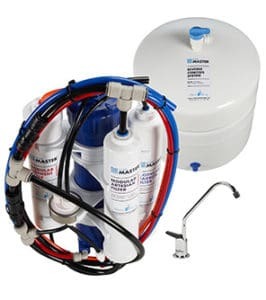 It removes up to 98% of chlorine, chloramine and other contaminants from your water supply. Another unique feature of this filter is that it actually adds back in healthy minerals like magnesium and calcium. Many filters strip these minerals out of your water, and adding them back in is healthy and can improve the taste of your water. It also features a fast-flow filter that is up to 2x as fast as many traditional reverse osmosis filters. The kit comes with everything you need (including a faucet), and the filters are designed to last about a year/2,000 gallons. Click here to learn more. The CuZn UC-200 is a reliable, long-lasting under sink water filter that’s made in the USA. The filter is designed to last a staggering 50,000 gallons, or up to 5 years. That also makes it a very affordable option for long-term use. 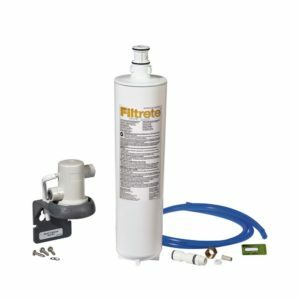 If you’re looking for an affordable, simple and reliable pick, this may be the best under sink water filter for you. It uses a 3-stage filtration system, and easily installs on most existing kitchen and bathroom sinks. This unit is also made in the USA, which seems to be rare these days! And it comes with a 90-day satisfaction guarantee. Click here to learn more. Installing an under-sink water filter is relatively simple for folks who have basic plumbing knowledge. If you’ve never done any basic plumbing work, you may want to hire it out. Before you get started with the install, keep a few things in mind. You’ll want to measure the area under your sink, to make sure that the filter setup you’re considering will actually fit. Next, you’ll want to check the instructions included in your manual, and make sure you have all the necessary components and tools for the installation. Most filters will come with specific components you need, and may even come with mounting hardware – but it definitely varies depending on which product you go with. Once you’re ready to install, check the manual from the manufacturer for instructions. For an overview, this video does a good job of explaining the basic installation process. Taste – Filtered water typically tastes significantly better than unfiltered tap water. Tap water can take on a variety of unpleasant flavors – but it may not be noticeable until you try something better! Good filters can reduce the taste of chlorine and other chemicals, as well as metals and minerals that could be contaminating the taste of your water. Safety – Depending on where you live, how old your pipes are, etc. your water could contain any number of potentially harmful contaminants. Even things that are added to water almost everywhere, such as chlorine, can cause harm and are linked to an increased risk of cancer. Peace of Mind – Nothing beats knowing that you’re drinking clean, pure and safe water. That peace of mind is priceless – and it may actually inspire you to drink more water! Filter Technology – There are lots of different styles of water filtration. We focused on effective technologies, namely reverse osmosis and multi-stage filters that use a mix of methods. Value – To get a good deal for your readers, we focused on models that offered great value for money. That doesn’t mean cheap products – but rather, products that are well worth their price tag and last a long time. 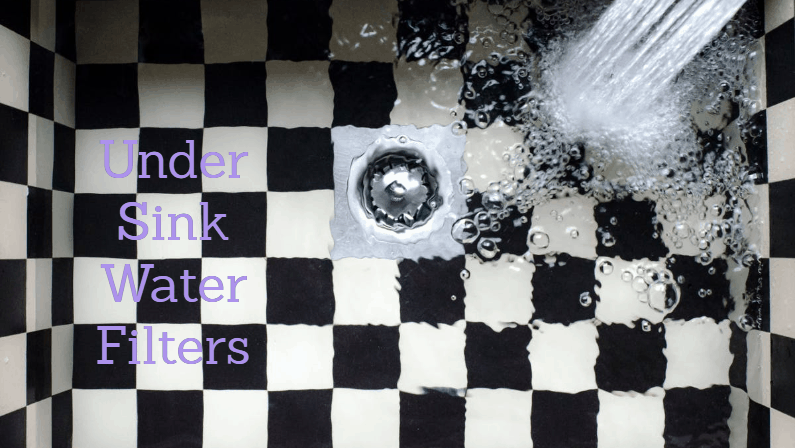 Reviews – We rounded out our own research and testing with a close look at lots of under sink water filter reviews from customers. This gave us a wider perspective on each product. Durability – Even the more affordable units are $100+, so you definitely want them to last! We considered the build quality of each unit, as well as the expected lifespan of the filters.